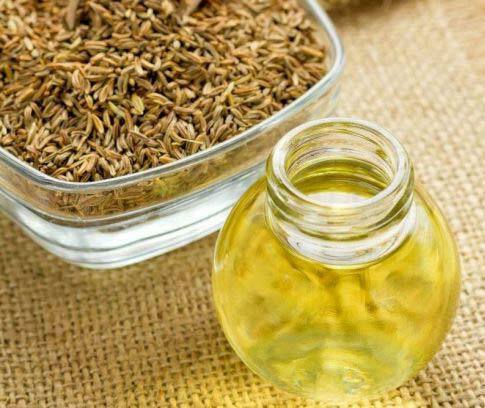 Caraway Oil is extracted from the fruits of carum carvi.it is a bi-annual herb originated from asia minor, but is now cultivated in northem Europe,Africa and Russia.The warming essential oil helps to relieve mental strain and emotional fatigu while aiding the digestive and urinary system and clearing the respiratory system.at the same time it also fights skin and scalp conditions. The chemical components of caraway oil are acetaldehyde cumuninic aldehyde furfurol carvone and limonene.Caraway oil calms the nerves and soothes mental fatigue, while Setting the stomach,nervous digestion colic flatulence and gastric spasms.It is an effective tissue re-generator and useful for fighting oily skin while dispersing bruises reducing boils and cleaning infected wounds.Furthermore,it relieves itching skin and helps to clear acne as well as scalp problems. Caraway thyme has a strong caraway scent and is sometimes used as a substitute for real caraway in recipes. Other similar members of the family Apiaceae include anise, fennel, dill, cumin, licorice-root (Ligusticum), and coriander (cilantro). The plant prefers warm, sunny locations and well-drained soil rich in organic matter. In warmer regions it is planted in the winter months as an annual. In temperate climates it is planted as a summer annual or biennial. As a culinary herb, caraway is frequently used in German and Austrian cooking as a seasoning for cheese, dumplings, port, goose and sausages. It continues to be used for sauerkraut as well as breads, cakes, and sweetmeats.